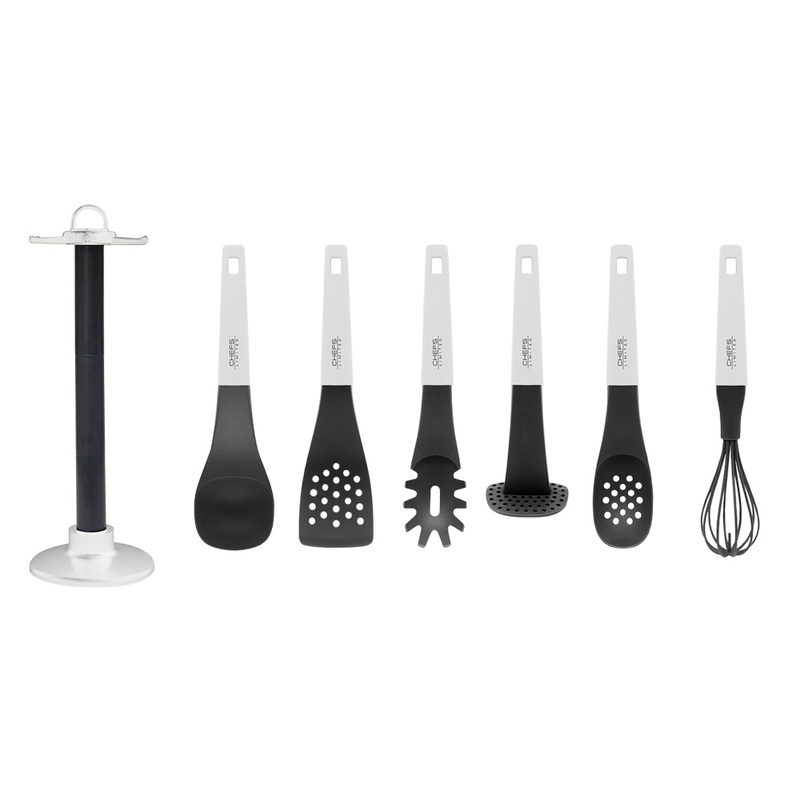 This has to be one of the best looking utensil sets I have ever seen, they are a bit heavy to hold but they have a nice sturdy grip, work well and look great on my counter. What I like best is that all of my most used utensils are now on my counter top instead of thrown in a drawer. 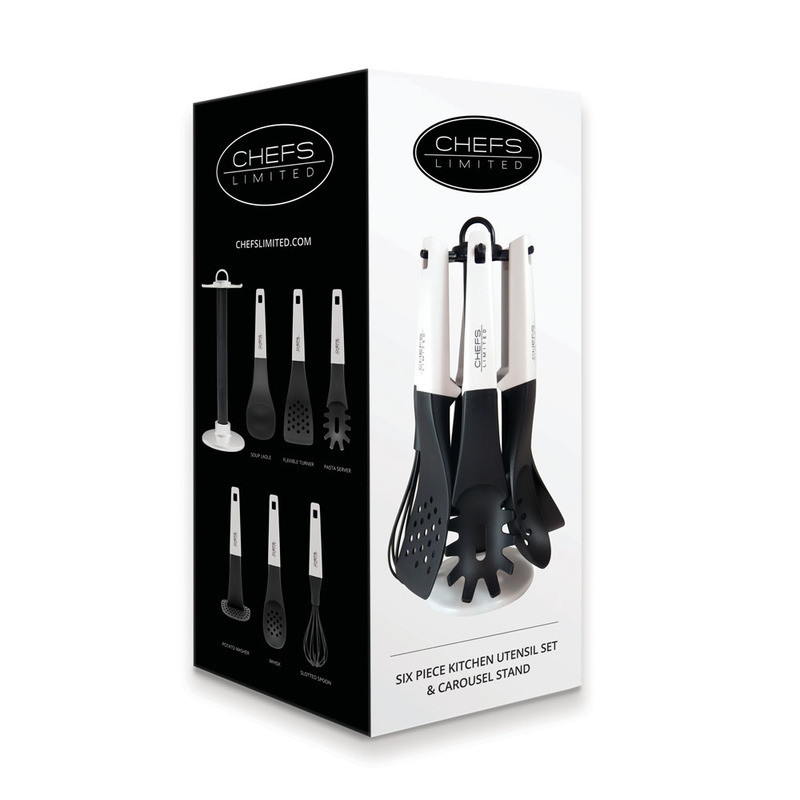 Easy to set up and take care of, won't scratch your nonstick pans. Very modern look, unique to me. You can find the Chefs Limited set on Amazon. 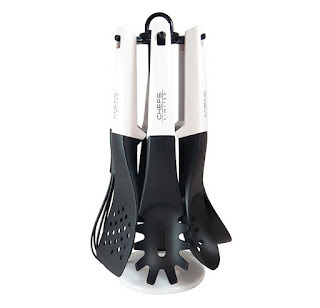 The Sturdy Carousel Holder Will Not Fall Over And Securely Holds All The Utensils Firmly In place. Rest Assured When You Own This Set You Are Backed By A 100% Money Back Guarantee! Disclosure: MarksvilleandMe received one or more of the products mentioned above as part of a promotion with Tomoson and Chefs Limited. Regardless, MarksvilleandMe only recommends products or services we use personally and believe will be good for our readers. Some of the links in the article may be “affiliate links.” This means if you click on the link and purchase the item, I will receive compensation. If you would like MarksvilleandMe to review a product or service please contact us at marksvilleandme@gmail.com.